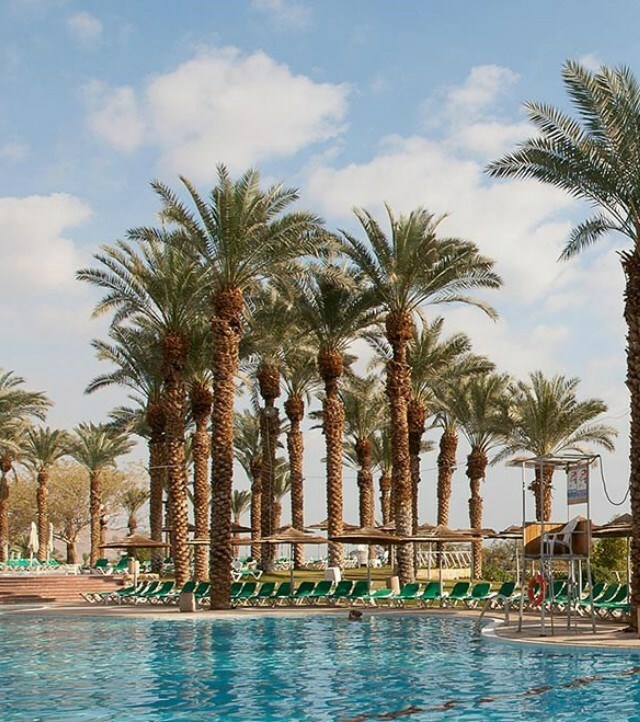 Several years ago, my husband and I rested at the David Dead Sea Hotel. We really wanted to get a room with a panoramic view of the sea and the mountains. It turned out that in this hotel such a panoramic view from the balcony has all the rooms. Very nice hall with palm trees and a fountain inside. There are many paintings on the walls. The room was comfortable modern furniture, plasma TV. The bathroom had a shower, a bath and a washbasin. The marble countertop, large mirror and bright lighting made the bathroom very elegant. The beach could be reached in 5 minutes. Although it is difficult to drown in the salty sea, there were still rescuers on the shore. Some people used the swimming pools that were on site. Near the pools grew palm trees, beneath them were comfortable sun loungers. Another advantage - not far from the hotel is the ancient fortress of Massada. This is an open-air museum. This is an opportunity to touch the ancient history of the state. In general, the visit to the hotel left a good impression on us and we hope to come here again. Thank you! A lovely, short stay. Would certainly come again! We was in there 3 days. We took a room in 11:00. It is very early! And hotel management gave to us very delicious drinks for free. In the our room was very beautiful view and good furniture. In the cafe of hotel was delicious food and wide variety of this. And we could find very nice beach in 5 minute of walking. Дэвид Отель "Fantastic Manager Julia"
We came for 1 night and overall had a pleasant stay. The hotel is big and a nice big lobby. The rooms are spacious but quite old. The headboard was all ripped and closets were shabby. Bathroom was also quite old and small bathtub. Had a nice porch and the view was breathtaking. The staff was nice and helpful but had to wait a long time to check in. Spa treatment was good but the treatment rooms were old. There was also nice garden and pool. The location was great and a very short walk to the water! Would probably stay there again! Дэвид Отель "Beautiful place in a beautiful country!" I spent the New Jear holiday with my girlfriend at David Dead Sea Hotel. We stay for 8 days and were fully satisfied with the nice location, good service and fine food. We come back! The hotel staff are friendly and the service is good.